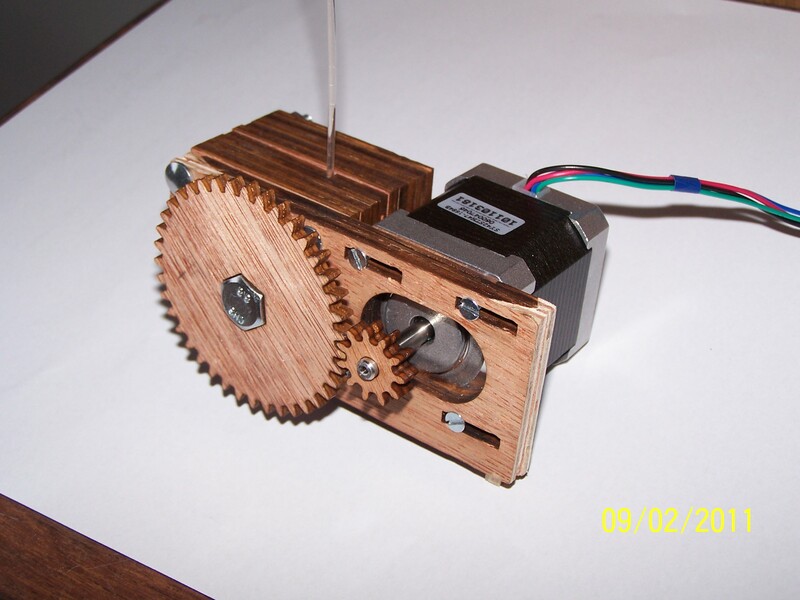 I’ve also hobbed an M8 bolt and assembled the Sliced Wade’s Geared Extruder. It seems to be working fine although it hasn’t been tested with a hot-end attached. Both X and E will need calibration. This entry was posted on Wednesday, February 9th, 2011 at 20:35 and is filed under Uncategorized. You can follow any responses to this entry through the RSS 2.0 feed. You can leave a response, or trackback from your own site.